Receiving a rapturous reception in its native Germany when it was introduced in June this year, the BMW i8 intends to elevate hybrid sports cars beyond what was ever thought possible. As one of the most visually arresting and efficient high-performance cars ever produced, this revolutionary vehicle offers supreme economy, innovative interior design and sophisticated driver aids. The future of sports cars has arrived. The scissor doors of the i8 open to reveal an elegant, minimalist cabin. Retaining many of the features of traditional sports cars, including a driver-aligned central console and low seating position, the interior also makes several departures from convention. These include narrow, lightweight seats and ambient lighting.  In terms of technology, the iDrive Controller allows for fine-tuned control over many of the vehicle's core aspects. It's apparent from merely glancing at the i8's exterior that there is simply nothing else like it on the road today. A solid, grounded stance is complemented by sweeping lines, while the pointed front end is dominated by large air inlets. LED lights at the front further add to the visual appeal of this remarkable vehicle, while 20-inch alloy wheels provide striking stylistic punctuation. Performance is where the i8 truly begins to shine. With the combination of an electric motor and a petrol engine, the eDrive technology featured allows for an overall fuel economy of up to 134mpg combined, with CO2 emissions of just 49g/km. The battery can be charged to 80 percent capacity in just two hours, while performance is impressive, with a power output of 131bhp. To find out more about the new BMW i8, contact John Clark BMW today. We are your first-choice dealership for BMW vehicles in the Aberdeen and Tayside, Dundee areas, with expert staff on hand who are ready to answer any questions you may have. To book a test drive enquire online, get in touch via the phone, or visit us on site and speak to a member of the team.